This massive set includes an assortment of hooks, rakes, balls, diamonds, extractors, and tension tools, and a zippered leather case. 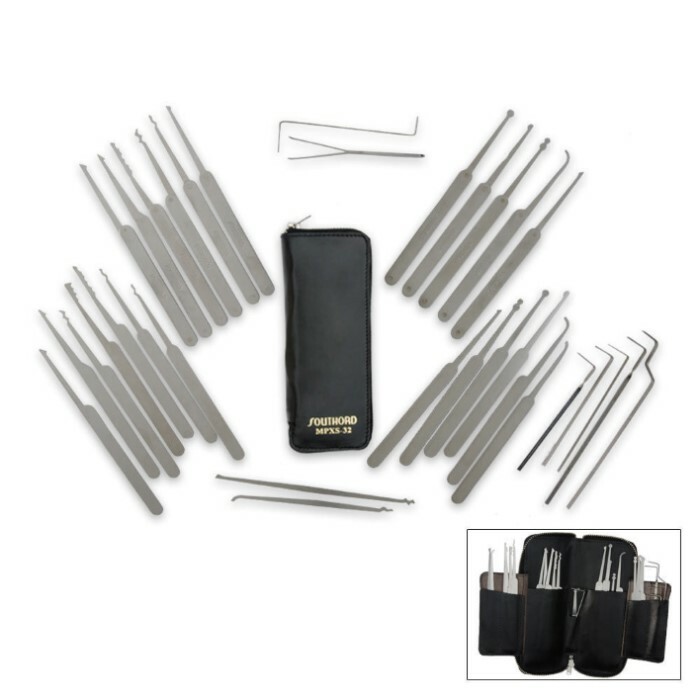 Each pick is crafted using tempered stainless steel and feature a smooth, rivetless handle. Seems like a pretty sturdy set I really like it and the case is nice and organized. There is a tool for everything. Well worth the price.